Located in the historic center of Wiltingen in the Saar Valley, the Van Volxem winery dates back to Roman times. The wine estate is on the site of a Roman villa, whose fragments are still visible today. The estate’s vineyards—which were first planted in the 3rd century in the area’s best slate slopes—are among the oldest in the region. Monks rediscovered the estate in the 11th century, and the Jesuits cultivated the vineyards starting in the 16th century. In 1743, an abbey winery was built here. In wake of the French Revolution, the property was secularized and finally ended up under the ownership of Gustav van Volxem, a wine brewer who had emigrated from Brussels. A true visionary, van Volxem recognized the potential of the premium vineyard location, and in subsequent years, he developed one of the most prestigious wine estates in imperial Germany. When Mosel wine gained popularity as a coveted luxury item worldwide, the van Volxem estate saw the start of its heyday. Its wine varieties are featured on numerous wine lists internationally. After four generations in the van Volxem family, Roman Niewodniczanski took over the estate and subsequently restored it to its original state in accordance with preservation standards. 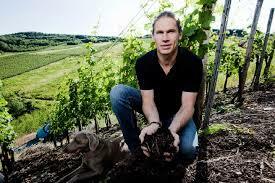 He also expanded the vineyard holdings with new premium sites. In 2004, the estate director Dominik Völk joined the team, which is one that is committed to making Van Volxem a leading international estate for white wine.